Two Sundays ago, we heard Luke’s account of the baptism of Jesus. According to his chronology, last Sunday’s Gospel reading should have been the temptation of Jesus in the wilderness. But instead, the lectionary gave us the wedding feast at Cana. It’s a bit confusing, I’ll admit. Just keep in mind, that Jesus had just come back from 40 days of fasting and temptation in the wilderness when today’s Gospel story begins. It’s not entirely clear whether Jesus read the appointed scripture or one of his choosing. In any case, what he read is a portion of Isaiah that had long been understood to be the job description of the Messiah. 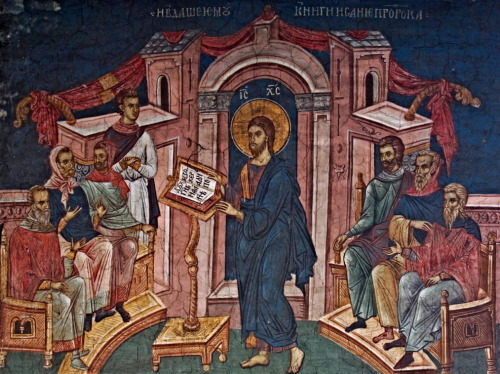 Jesus begins his sermon with the words, “Today this scripture has been fulfilled in your hearing.” The rest of the sermon isn’t mentioned. Perhaps the congregation was so stunned by the opening line that the rest of the sermon was a blur!